If the daily grind makes you feel like you’re going through the motions, turn that notion around and color these spherical doodles! Coloring is one of the simplest arts, but it’s not just for children. Adults need to explore their imaginations too! 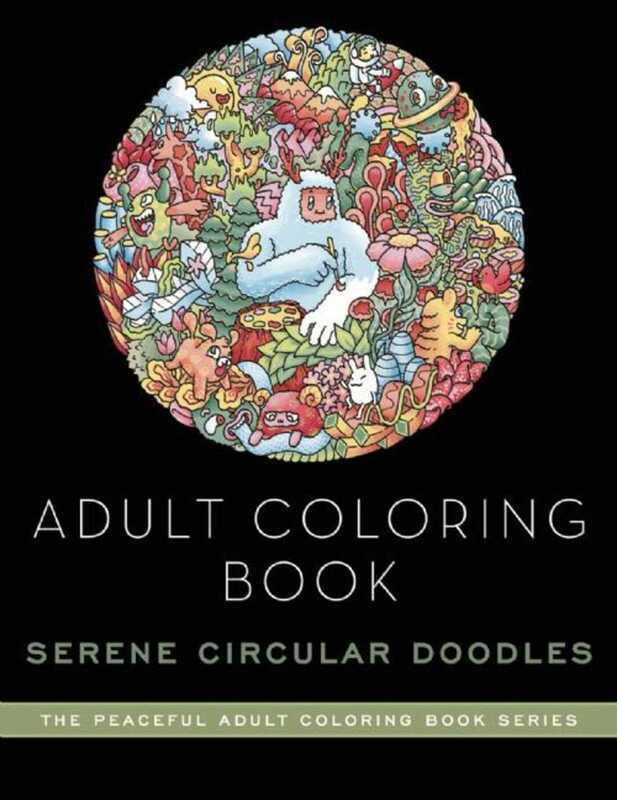 Part of the Peaceful Adult Coloring Book Series, the pages of this book are filled with incredibly detailed circular patterns that will challenge you and inspire your inner artist. Doodle-art expert Lei Melendres brings his technique to these elaborate designs that will propel your imagination to new heights. No other book presents doodles quite like these! These globe-like images provide a variety of abstract arrangements; you will be astonished at the shapes, charming characters, and other elements that these illustrations are built around! Included are mandala-esque circles, spherical doodles, and more intricate spiraling illustrations that will absorb your stress and test the limits of your creativity. The designs of this coloring book have been created with a compelling and inventive style that will provide a whole new world of coloring for you. Whether you’re getting comfy at home or relaxing on your lunch break, these fun outlines are guaranteed to provide hours of artistic inspiration. Gather your colored pencils, or whatever medium you prefer, and let your mind wander free.